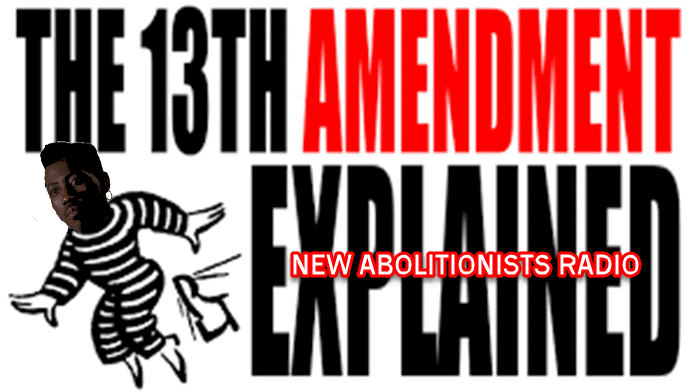 Today is the February 8th broadcast of New Abolitionists Radio. • Our guest this broadcast will be the organizer of the Savanna, GA August 19th Millions for Prisoners March on Washington. Sister T. Hickson. The state leader of the Inmates Lives Matter Georgia chapter. Just prior to our broadcast she attended a Town hall discussion on the 13th amendment sponsored by the Savanna, GA collegiate chapter of the NAACP. Sister Hickson will give us a 1st hand report on the event. • We’ll also go over the recent press release from JHS on the August 19th March. • Tonight we will share new information which shows the US has spent Double what was previously reported on incarceration in the US. • During the broadcast we hope to share information that puts the US model of modern slavery into a global perspective. Our Rider Of The 21st Century Underground Railroad this week is Tony Wright who walked out of the prison where he had spent 25 years of his life for a brutal crime he didn’t commit. Previous Previous post: JAIL PSYCHOTHERAPY’ “WHITE (BLACK) HISTORY”– Don’t Fight This Last WAR! Guerrilla WAR of the MIND is STRATEGY! WAGE GUERRILLA WAR ON THE PAST!